← O Lord, Guard The Door of My Mouth! (Ver 1.4) This is a very advanced set of Bible lessons about the concepts, laws and information found in the Bible about “seeds”. As we study this subject we discover how these principles apply both to the natural realm as well as the spiritual realm. This is now Part 3 of the series and if you have not read from the beginning, I would suggest that you go and start your reading with “Part 1”. We have already covered a lot of information found in the Bible, some of which you may have heard before, but certainly a lot that is new to you. Studying the Bible on any subject is very difficult. Because God has chosen to hide information, and finding every reference to a subject is very challenging. To study the subject of “Seeds” we really need to search the Bible for every verse with that word in it and determine what it is saying. Since there is more than one thing in the Bible called by the name “seed” we must learn what each one is and determine if they are related to any other. But, that is not all of the verses on the subject. What we must realize is that there are related subjects that go along with it, such as soil, earth, rain, water, light, warmth, planting, sowing, fruit and on and on I could go. Then what about enemies to seeds, such as birds, insects, weeds, drought, rocks, heat, cold, floods and again on and on I could go. There are a vast number of dependent subjects that you should learn to see how they apply to what we learn about “seeds”. I am trying to demonstrate how complicated studying the Bible can be and why so many people do not know what the Bible actually says. In order to study the Bible correctly, you must dig and research the subject as thoroughly as possible. This also involves you doing a significant amount of work to find what God has hidden for you. Jesus informs us that the soil is representative type of the hearts of people. The human heart is not the physical blood pump organ. The human heart in the Bible is their spirits. Jesus also says that Satan is the enemy that is trying to steal the words of God from our hearts. Ephesians 2:2 calls Satan the prince of the power of the air. The earth’s atomosphere is the current domain of Satan. This verse says that Satan comes immediately to steal the seed from us and that would be really bad news, if Satan could just take the word sown at will. However, by reading in Matthew we learn some additional details on this subject. Wayside These are those that can hear, but that do not understand what is said. Therefore Satan can steal the truth away from them very easily. Stony Ground These are those that turn away because of affliction or persecution. They lack any depth or foundational root knowledge. They are easily offended. Among Thorns These are those that care more about the things in the world, the distraction of riches, the natural lusts of the world. Good Soil These are those that produce fruit. A return of seed is multiplied to produce a bountiful supply. Some 30 times, some 60 times and some 100 times. Good Ground Those that hear and understand the Word of God and do not allow it to be stolen from them. Evil Ground Those that are deceived, lost and asleep in the darkness. Roots Those who have a strong foundation of the Word of God and are able to drink and partake of the Spirit of God. Birds of the Air Spiritual enemies that try to take the truth from you. Satan and his demons. Fruitful Spiritual Growth and Maturity, those who are doers of the Word of God and NOT hearers only. As you can see there are many valuable things to learn from this parable. Seeds play a key role in the spread of the Kingdom of God. Seed laws play a key role in understanding this teaching. God’s word will always produce more people like God. Those that let God’s word in, will grow and mature to be more like the one that gave us these SEED Words. It is the spiritual seed law of Genesis repeated in the spiritual diemension. A seed will always produce after its own kind. The planting of God’s spiritual seed will always produce a spiritual harvest. I think I will end this lesson here for now and expand it in my next lesson. If you would like to continue reading this series, you can continue by going to “Part 4“. 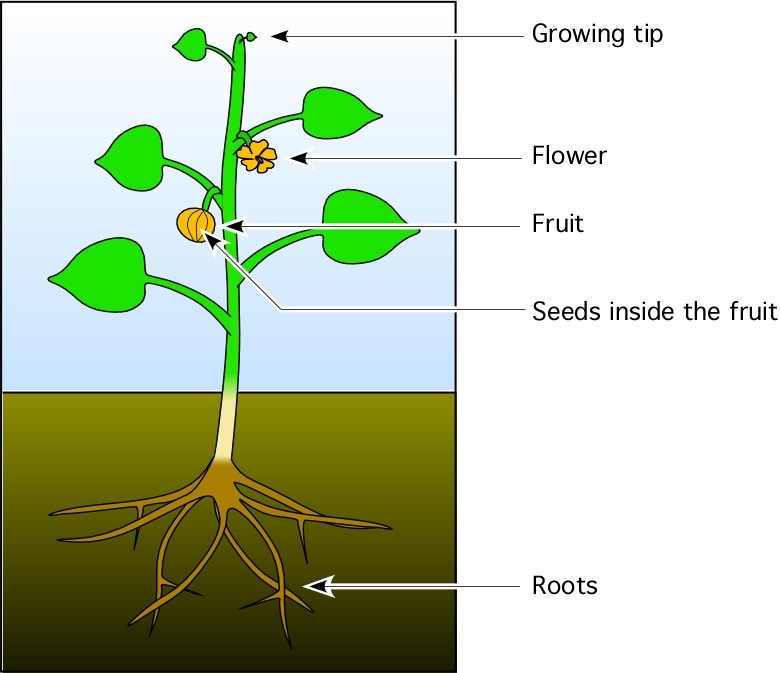 Posted on July 26, 2010, in Bible Study, Seeds, Understanding and tagged Bible, Christianity, Church, Genesis, God, Holy Spirit, Interpretation, Jesus, Prophecy, Religion, Revelation, Satan, seeds, Symbolism, Truth, understanding. Bookmark the permalink. 22 Comments. I thank God for leading me to this blog. Excellent teaching ! Yesterday as I was laying down to take a nap I heard twice the word seed,you’re a seed. So i immediately got up and started looking for scriptures,then I googled to see if I would find and teaching on seeds. Found some but not really biblical so when I was about to give up see this blog and right way I felt this joy in my heart that this is what am looking for. Am exited and looking forward to read all your postings. God bless ! God Bless you and thank you for being led by the Spirit of God and for taking the time to bless us with a kind comment. Thank you very much for the kind comments. May the Agape/Love of God continue to lead you and bless you. Wow this really bless me .now I know why I have staired at a tree for 3 hours . This help me understand a lot more then I knew. Thank you and may God Bless you very much. God bless you my brother in Christ, God Bless You. Thank you for sharing such beautiful messages. You stated that there are actually 6 different types of soil listed in the parable. Where did it state about evil ground and roots? Mark 4:4-7 describe the 3 types of evil/bad hearts that fail to produce any fruit from the sown word of God. Mark 4:6 specifically emphasizes the need for roots to take place in the heart. A stony heart fails to allow God’s word to produce any roots. The stony ground are all those that hear but fail to be open minded enough to receive the word of God and they end up rejecting the word of God as a result of their own freewill. Thank you for your question and God Bless. You stated that there are actually 6 different types of soil listed in the parable. Are the 6 soil wayside ground, stony ground, among thorns, good ground, evil ground and roots? Where was the evil ground and roots stated in the parable? Please contact me. I’d like to use this in my book. Great stuff! I prefer that whatever I teach from God be given away for free. Please respect this condition of the agreement. Jesus said in Matthew “Freely you have received, therefore freely give”. Please also respect the words of Jesus. God Bless. I have really enjoyed reading this. thank you so much for such great knowledge. keep planting the seed, and I will also plant what I have received from you. God bless you and again thank you. I have read three pages and will continue my reading. Wow! That is quite a teaching!! Especially the Description part…..Extremely informative! Thank you for you kind comment. God Bless. And also I heard a long time ago someone said; Treasure is often buried because it is so valuable..God has hidden treasures for us to find in His word! You are exactly correct. God gives men a choice to see or not to see. So the Bible was written as selective words that give every man the self determining right to believe whatever they like. Yet the truth is present but not fully evident on the surface. You may get glimpses of the truth by reading the Bible, but the deeper truth is only found by diligent study and work with the help of the Holy Spirit. Thank you and God Bless you very much for your kind comments and your commitment to study the Word of God. I had a question. In the beginning of this lesson, you wrote, “However, He placed an extraordinary emphasis on a certain subject as being a key to understanding all the other subjects found in the Bible. Jesus said that this one concept that He taught was more important to understand than any of the others found in the Bible.” Are these exact words of Jesus and if so, can you please give a scripture reference for this? Thank you and God bless. I really like what you wrote about understanding. I’ve read this parable dozens of times before but never really caught that point like the way you explained it. I immediately thought of the book of Proverbs which greatly urges us to get and keep understanding, and the consequences of those who lack understanding.